We specialise in transporting super-low sports cars, exclusive vintage cars, etc. Want to know more about the car transport services? Want to know more about Ttransport for sports cars? Want to know more about transport for vintage cars? Since 1983, we have been providing a repatriation service for vehicles that breakdown or are involved in accidents abroad. Want to know more about the repatriation services? 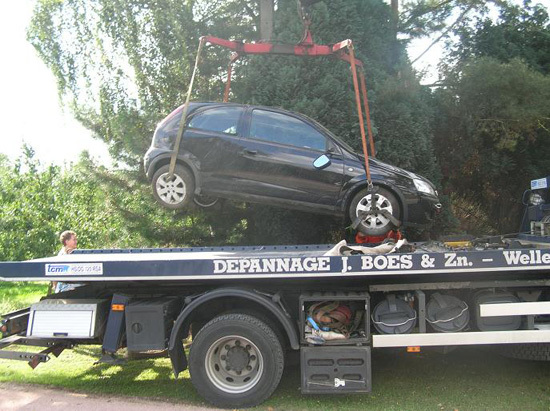 Transport BOES: the best choice for car transport. “We transport anything that has at least two wheels”, says one of the BOES brothers. Originally Jozef Boes’ hobby, the service has now evolved into a super-professional and pioneering company. As a family company under the leadership of David Boes, we distinguish ourselves by means of a personalised and customer-focussed approach. Evolution and ecology play an important role in our transport story. In the summer months, we have an office in Italy and our branch is located in Romania. We have expanded into adventurism but always apply a very professional approach. Started in the province Limburg, Belgium and now a global player in car transport!